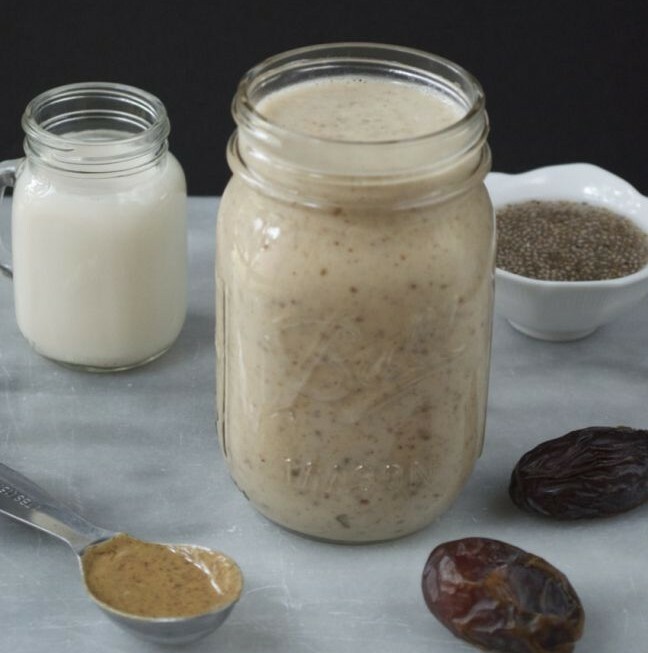 When we need an energy boost, we love making these vegan power shakes. They’re nutritious, delicious and ready in minutes — making them the perfect “anytime” snack for Happy You. Try our vegan power shake recipe below, and experiment with healthy add-ins that please your tastebuds. Preparation time: Mere minutes. Simply blend and enjoy! Be sure to visit the be & be happy blog for more healthy vegan drink and snack recipes. And if you’re looking for all-natural ways to give your health an even bigger boost, try our Energy Booster, which will help Happy You on your journey to better digestion, boosted energy and, of course, more happiness.